Often time, most of us forget to populate T510F or don't even know T510F exist. For those who don't know this table, it control what currency to default for the employee at the wage type level on P0008 based upon their country assignment, pay scale type, and pay scale area. 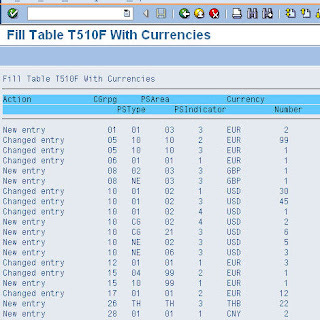 Forunately there is a standard deliver program that will automatically populate this table for you. Go to SE38 and type in program "RPU10F20". 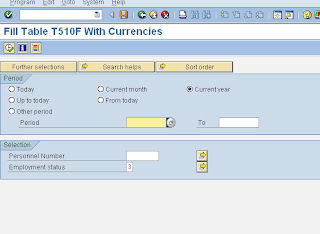 This program will look at country assignment on your employee and check to see if there are missing entry in T510F. It will populate for you!